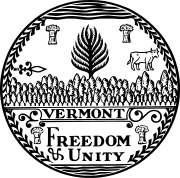 The 2018 United States Senate election in Vermont was held November 6, 2018, alongside a gubernatorial election, U.S. House election, and other state and local elections. Incumbent independent Senator Bernie Sanders was re-elected to a third term. The primaries were held on August 14. Two-term independent Senator Bernie Sanders was reelected with 71% of the vote in 2012. Sanders, a former candidate for president in the 2016 election and one of two independent members of Congress, is a self-described democratic socialist. Sanders has caucused with the Democratic Party since taking office in 2007, and he is the Ranking Member of the Budget Committee. He will be 77 years old in 2018. Sanders ran for the 2016 Democratic presidential nomination. After losing, he announced that he would return to the Senate as an independent, and later stated that he would run for reelection as an independent in 2018. H. Brooke Paige, who also won the Republican nominations for U.S. House, state Attorney General, state Secretary of State, state Treasurer and state Auditor, withdrew from all but the Secretary of State race on August 24 in order to allow the Vermont Republican Party to name replacement candidates. The Vermont Republican Party picked Lawrence Zupan, who came in 2nd place in the primary, to be the Republican nominee. Sanders won re-election with 67.3% of the vote against eight other candidates. ^ Dobbs, Taylor. "Bernie Sanders to Seek Reelection to U.S. Senate". Seven Days. Retrieved May 22, 2018. ^ Ember, Sydney (August 16, 2018). "Vermont Primary Election Results". The New York Times. Retrieved October 24, 2018. ^ Nicholas, Peter (July 26, 2016). "Bernie Sanders to Return to Senate as an Independent". Retrieved November 12, 2017. ^ a b Thomsen, Jacqueline (October 22, 2017). "Sanders to run as an independent in 2018". TheHill. Retrieved November 12, 2017. ^ Madigan, Cherise (January 7, 2018). "Newcomer Brad Peacock launches bid for Senate". The Bennington Banner. Retrieved May 21, 2018. ^ Hagen, Lisa (January 20, 2017). "Major progressive group unveils first 2018 Senate endorsements". The Hill. Retrieved January 29, 2017. ^ Kampeas, Ron (October 19, 2018). "Jewish candidates in the 2018 congressional elections: The Senate". Heritage Florida Jewish News. Miami. Retrieved October 24, 2018. ^ Stewart, Brian (August 1, 2017). "MoveOn Endorses Six Senators' Re-Election Bids, Backing 'Health Care Heroes' for Helping Lead Effort to Stop Trumpcare From Becoming Law, Embracing Progressive Policies in Trump Era". MoveOn.org. Retrieved September 10, 2017. ^ Nihart, Alison (July 17, 2018). "RAD's First Crop of Endorsed Candidates for 2018". Rights and Democracy. Retrieved July 20, 2018. ^ "Sierra Club #ClimateVoter Guide: Endorsements". ^ "Bernie Sanders". Our Revolution. Retrieved August 14, 2018. ^ "Sanders to run as a Democrat — but not accept nomination". POLITICO. Retrieved May 22, 2018. ^ a b Hirschfield, Peter (July 6, 2017). "Little-Known Challengers Seek To Unseat Bernie Sanders In 2018". Vermont Public Radio. Retrieved July 7, 2017. ^ Sainato, Michael (July 7, 2017). "Bitter Clinton Supporters Try to Unseat Bernie Sanders in Senate Race". Observer. Retrieved May 3, 2018. ^ Zupan, Lawrence (July 30, 2018). "Letter: Zupan makes case for GOP senate nomination". Manchester Journal. ^ Epp, Henry (August 3, 2018). "Campaign 2018: Rocky De La Fuente Running In Multiple US Senate Primaries, Including Vt". Vermont Public Radio. Retrieved August 7, 2018. ^ McCullum, April (March 23, 2018). "Sen. Bernie Sanders' seat attracts 4 newcomer candidates". Burlington Free Press. Burlington, Vermont. Retrieved May 3, 2018. ^ Galloway, Anne (June 1, 2018). "Incumbents in top slots face little competition in 2018 primary". VTDigger. Retrieved June 2, 2018. ^ a b Gregg, John P. (April 27, 2017). "Primary Source: Looking at the Sanders Juggernaut". Valley News. Retrieved April 27, 2017. ^ Meyn, Colin (August 24, 2018). "Republicans on the clock after Paige withdraws from five statewide races". VTDigger. ^ Young, Taylor. "Vt. GOP picks candidates for 5 open slots". WCAX-TV. Gray Digital Media. Retrieved August 30, 2018. ^ Vermont Secretary of State (November 2018). "Vermont electoral results, 2018" (PDF). State of Vermont.